Click here to see a video of how to build a one rock dam to control erosion. 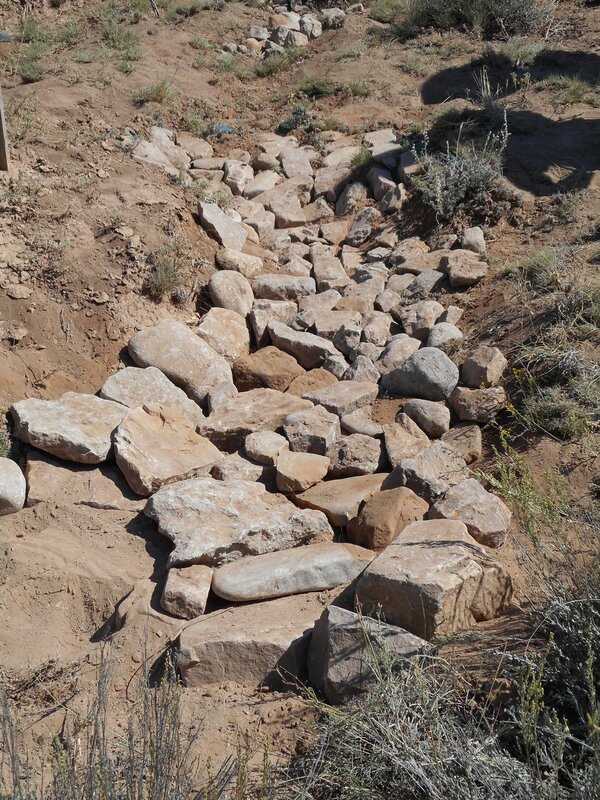 Click here to see a video of how to build a rock rundown to control erosion. Note: for information about our latest work, check out our blog. On Friday, August 14, 2015 landowners, agency staff and interested citizens learned techniques to control erosion and heal the land. Bill Zeedyk and Shawn Conner gave fascinating presentations on how simple rock structures can heal eroded stream channels and headcuts and put water back onto meadows to increase production of grasses and wildflowers. We videotaped the field sessions. See the photo captions or below for links, or email us with your name and mailing address to borrow a DVD at no cost. 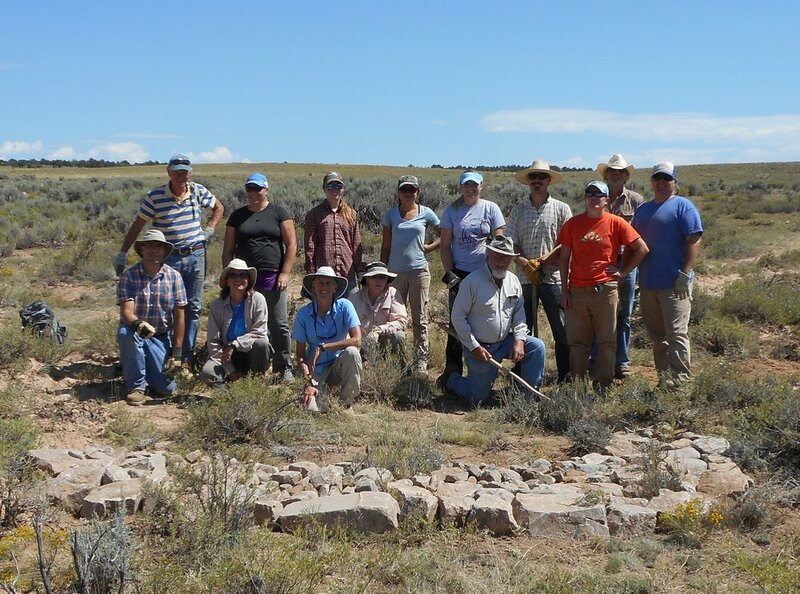 On Saturday, August 15 a crew of volunteers met in Dry Creek Basin, south of Naturita, for a hands-on training. We built a total of ten rock structures. Just 5 weeks later, they were already working. Click here to see how the One Rock Dam is stopping sediment. This will raise the level of the incised channel, so eventually, the water will flow back onto the historic floodplain. In addition, here’s a link for a 6-minute video on how they’ve used these techniques on ranches in Gunnison to improve range and Gunnison sage-grouse habitat: https://www.youtube.com/watch?v=s-EJBMlKFv8&t=2s. Note: you may need permits from the Army Corps of Engineers and/or other agencies before you start installing these structures–check first. Click to sign up for our email list to get notices of when we’ll be conducting other trainings and work days like this. Click here to see a video on making a media luna to disperse water onto historic floodplains. 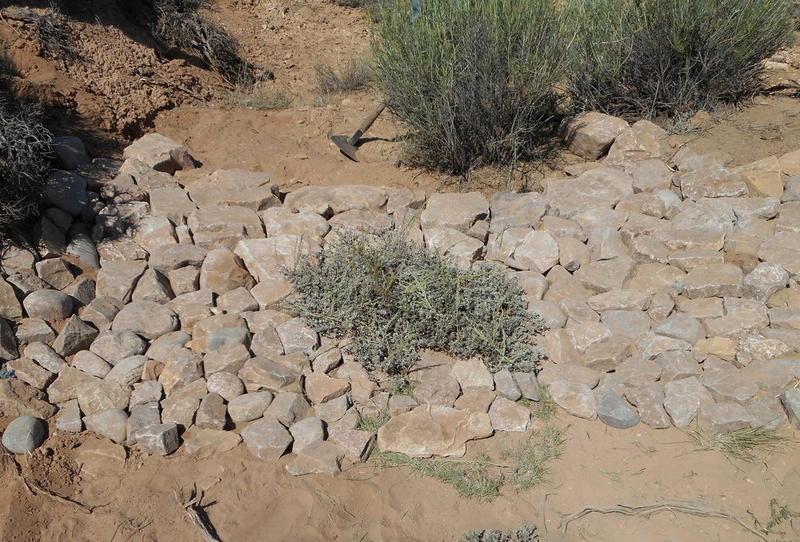 Click here for a video on making a Zuni Bowl to stop headcuts from causing erosion.